Are you familiar with the NKBA? It is the world's leading non-profit trade association for the kitchen and bath industry offering certification, research, tools and events such as webinars to design professionals. Interestingly, the organization started out in 1963 as a network of kitchen dealers. Since then, it has evolved into the premier association of designers, retailers, remodelers, manufacturers, distributors, fabricators, installers and other kitchen and bath industry professionals. 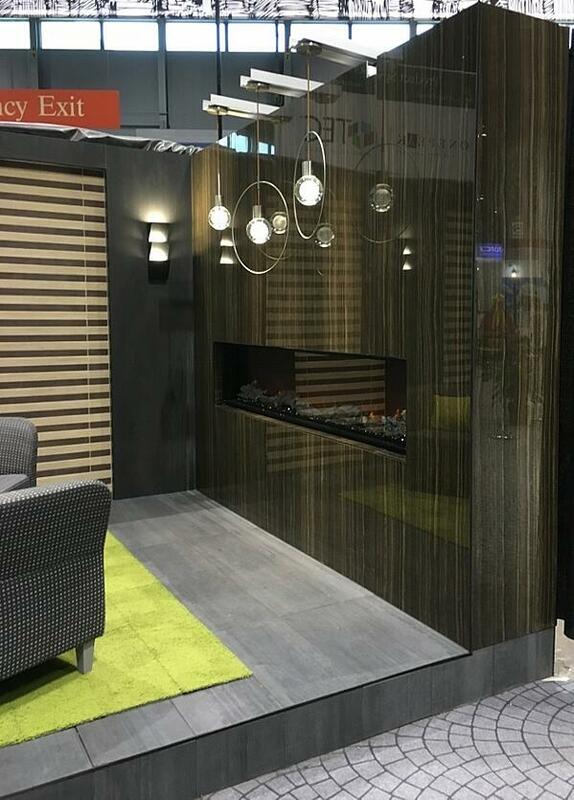 "The association’s vision is a world in which everyone enjoys safe, beautiful and functional kitchen and bath spaces. Our mission is to help make it happen through the creation of marketplaces, networks, affiliations and certifications that raise the level of professionalism by inspiring, leading and empowering each member of our community." The NKBA also owns the Kitchen & Bath Industry Show (KBIS), the largest trade show worldwide for the kitchen and bath industry. 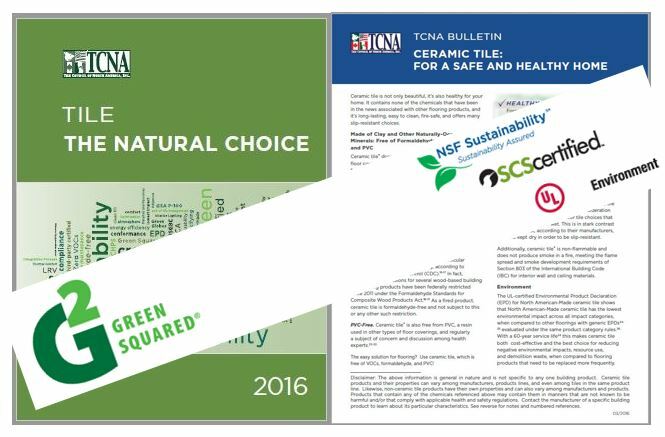 Given that tile is a natural choice, sustainability seemed like a perfect theme to sponsor. >> See What's an Ideal Sustainable Building Material? Tile Of Course! 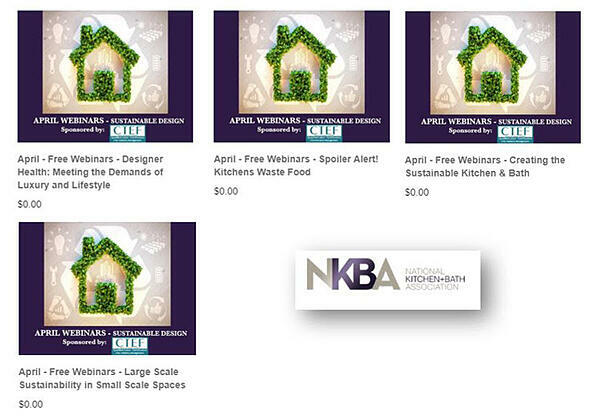 Here's some perspective on the NKBA webinar program. The NKBA Professional Development Team began the free Webinar Series for members and nonmembers in January 2018. The free sessions offer the attending participants 0.1 CEU per event. Each month, participants have four, 60-minute sessions available each of which features a subject matter expert. To register for the sessions, go to the NKBA store, click on webinars and create an account. CTEF hopes to participate as a subject matter expert in 2020. Stay tuned. For these upcoming sessions, CTEF introduces each one and highlights the criticality of Qualified Labor to the tile installation process. Each session will be recorded and we plan to share them with you in this space as they become available. The first webinar of the April sustainability series addresses the evolution of design and how it affects lifestyle and sustainability. The subject matter expert is Lauren Levant, Owner of Lauren Levant Interior. It takes place on Wednesday, April 10, 2019 from 3:00-4:00 pm EDT. "Health is the ultimate luxury. The discerning client of the present and the future is redefining the luxury lifestyle. No longer about mere beauty, the most successful and sought-after projects are now designed with health and well being at the center. Premium materials with healthy finishes, responsibly sourced are becoming in greater demand, and clients are willing to pay a premium for them. Like the organic, non-GMO groceries, the homes of today’s luxury clientele need to take care of them from the inside out." Discover the importance and significance of incorporating healthy products into your design. Recognize effective ways to design for a health-conscious client – where and how to look for products to use and manufacturers to lean on. Reflect and analyze on the outcome of healthy design – how it effects the project bottom line and contributes to your brand. The second session addresses a more sustainable way of designing kitchens so they waste less food. 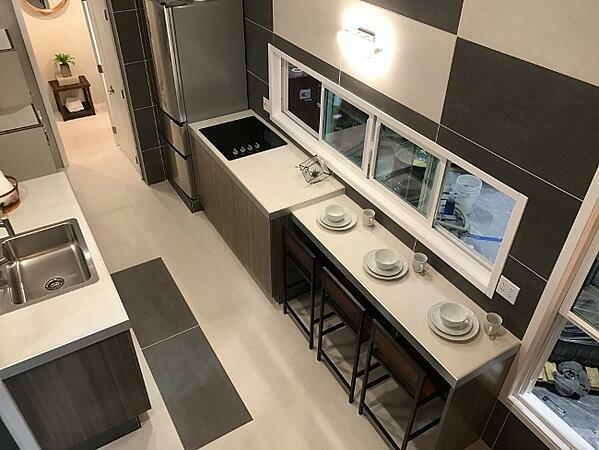 Led by Paula Kennedy, CMKBD, Principal and Designer of Timeless Kitchen Design, it takes place on Wednesday, April 17, 2019 from 12:00-1:00 pm EDT. 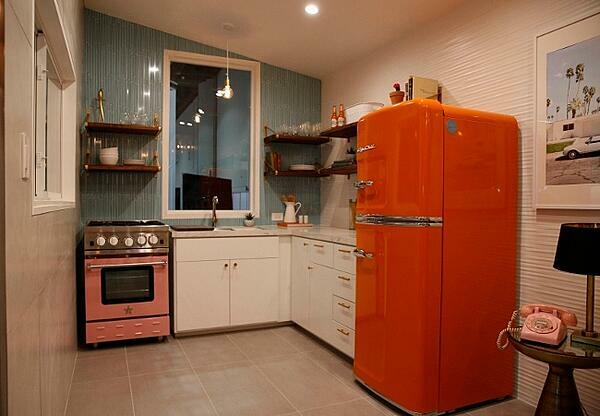 "Today’s kitchens are not designed with food preservation in mind. That may sound strange to say and isn’t so much of what we do focused around food storage? Yes, but food Preservation is different than merely STORAGE. Are you tired of throwing away produce? The U.S. wastes 30-40% of food per year. The amount of food wasted that goes to the landfill is disturbing. As food spoils in the landfill it gives off methane gas that contributes to the Greenhouse effect. We’ll talk about consumers shopping habits and their concerns of healthy and sustainable living. Did you know some fruits and vegetables like it cool, some like it room temperature, and some need humidity? There are the fruits and vegetables that produce ethylene gas as they ripen that is detrimental to surrounding produce! Why did no one tell us you aren’t supposed to store your bananas and apples together! Remember cellars, larders and that cute little wicker basket designed into a base cabinet? Did you know those wicker baskets that you we don’t design into kitchens anymore actually served a valuable purpose? We will address how to design kitchen spaces, storage and equipment to better serve our client and the environment. Proper food storage will reduce food waste which will save food from ending up in the landfill and it will support our client’s health by having that health snack readily available. We’ll also talk about trends that are bringing new equipment into the kitchen that we need to plan for, as well as trends of getting back to basics of home gardens and preservation techniques." Discover how residential consumer food waste effects the environment. Explain how food waste can be addressed through design, product offerings and tips/tricks for food preservation. Develop your knowledge of current technology and discuss the future of the food industry. The third webinar session takes place on Monday, April 22, 2019 from 12:00-1:00 pm EDT and addresses creating truly sustainable kitchens and baths. It is led by Robin Fisher, CMKBD, Principal Designer & Owner of Robin Rigby Fisher Design. "Global warming is a scientific fact, although approximately 30% of the U.S. population does not believe that this is a man-made effect. The construction industry is one of the leading contributors to climate change. Through this 60-minute webinar, you will learn to understand how man is contributing to climate change and how you as a Kitchen and Bath Designer can make choices for your client that will benefit how they and their family live in their home and health benefits without selling the benefits to the planet. (Although each step is just one small step to aiding the planet.)" Explore and define the need to design sustainable kitchens and baths. Apply methods to incorporate sustainability into your designs. Discover tools to use to sell sustainability without “selling” sustainability to your clients. The last session takes sustainable design practices to residential spaces. Led by David Tracz, Co-Founder of //3877 Architecture and Design, it takes place on Tuesday, April 30, 2019 – 12:00-:00pm EDT. "This webinar, led by co-founder of DC-based architecture and interiors firm //387 David Tracz, will evaluate sustainability practices in residential design on a macro and micro level. Starting with an introduction to the latest sustainable technologies in residential design, the webinar will walk through these various solutions, showcasing their benefits to both the design of the home as a whole and the bath specifically. Each technology, new to market and established in the industry, will be discussed on a larger scale. This will be followed by a deep dive into how each technology, when implemented by the design team and homeowner can vastly shrink the environmental footprint of the residence. Within this frame of the conversation, David will touch on the bathroom’s reputation as a high-energy producing space. He’ll share methods for improving and minimizing the bathroom’s energy output, which also offers a long-term cost-savings to homeowners. 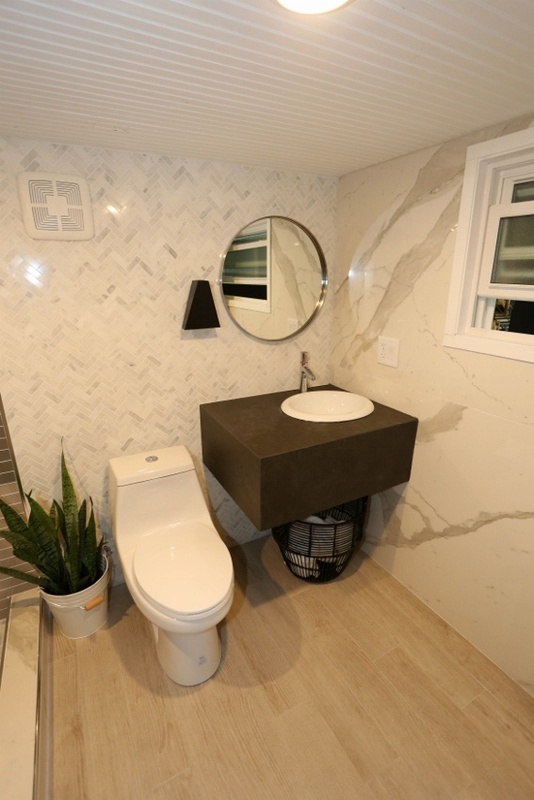 Examples of David’s own bathroom renovation and energy efficient home will be referenced throughout the presentation, acting as a guide for what listeners should consider for their own projects." We all recognize the importance of sustainable design in both the kitchen and bath as it relates to our environment. But once the stunning and functional design is complete, the work necessary to bring it to a beautiful completion requires the knowledge and skills of Qualified Labor. The purpose of utilizing sustainable design is to conserve our resources. The same is true for the labor and materials used during the installation of tile. Because tile is a permanent finish, the lowest bid should not be the driving factor, but rather who is the most qualified to perform the scope of work specified. Qualified Labor knows how to implement the work required satisfactorily the first time, thereby eliminating the waste involved when unskilled workers are hired. Many times, the low bid is unable to meet the requirements of the specified work which results in failure and unusable materials going into the landfill. What's your reaction to integrating sustainability into kitchen and bath design? We hope you'll attend these sessions or check back to watch them. We're looking forward to promoting Qualified Labor with the NKBA.